If there’s one word that characterizes the last few days in the media world, it is “deals.” From the latest acquisitions to settlements and new partnerships, here are the top media news you can’t miss. Several European media startups have been acquired this week – often by local players, but not only. For instance, the Japanese e-commerce juggernaut Rakuten bought the Spanish VOD platform Wuaki.tv – its first acquisition in Spain, and its fourth European deal in two years. As for the French telecom giant Orange, it is reportedly set to buy the 51% of Dailymotion it doesn’t own by 2013. The deal would cost the France Télécom subsidiary around 72 million euros ($90.4m). As our European editor Robin Wauters pointed out, this would be a relatively low price tag, considering Dailymotion’s traffic. A solid YouTube challenger, its video platform attracts over 135 million unique visitors per month. Interestingly, telcos and e-commerce companies aren’t the only players interested in buying online media companies; in the UK, supermarket chains are consolidating their role as startup buyers. 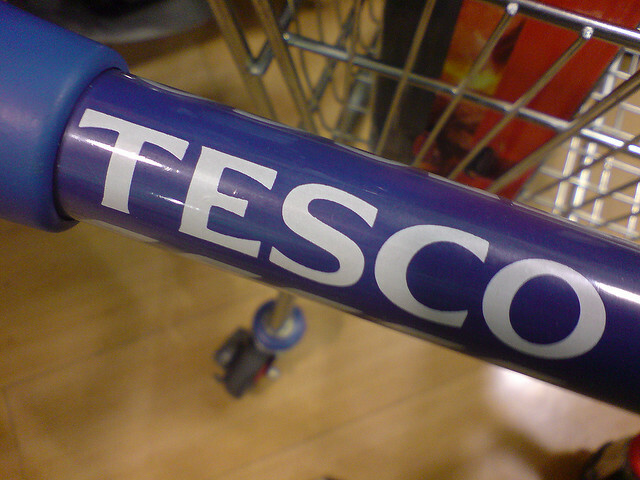 Following its recent acquisition of VOD website Blinkbox, the British supermarket group Tesco has now acquired the music streaming service We7 for £10.8m ($16.75m). As for its competitor Sainsbury’s, it is entering the e-book field with the acquisition of a 61% stake in social book discovery engine aNobii. While this deal is much smaller than Tesco’s, it confirms that startup exits can come from different kinds of players – certainly a trend to follow. As a matter of fact, we will also keep a close eye on BBC Worldwide’s decision to launch Labs. While it is a mentoring scheme for UK digital media startups, it also has as its ultimate goal to help them strike a commercial partnership with the BBC’s commercial arm itself. According to the March Association of American Publishers (AAP) net sales revenue report, adult e-book sales overtook adult hardcover sales in the US during the first quarter of 2012, MediaBistro reports. This is an important milestone for the digital publishing segment, and it also confirms what many already know: e-books are on the rise. Google certainly agrees, as it keeps on pushing its ‘Google Books’ offering in new territories. Only a few days after this new section of Google Play became available in Germany, Google also announced its launch in Spain, and it wouldn’t be surprising for other European territories to follow. One of the main media news items this week came from Twitter, with the launch of ‘expanded tweets.’ Reserved to a small list of partners, most of which are media companies such as Time and the Wall Street Journal, it breaks Twitter’s traditional 140-character limit by displaying additional content (videos, pictures, etc) right in the user’s timeline. According to GigaOM’s writer Mathew Ingram, this is actually a double-edged sword for the content industry. While partners could benefit from this new feature, it also means that media companies may now have to compete with Twitter itself, as the startup is increasingly positioning itself on the media segment. As for its rival Amazon, it has now signed a licensing agreement with MGM to expand the movie & TV catalogue of its Prime Instant Video service. As a matter of fact, Amazon has closed so many content deals for Prime over the last few months that you may be wondering why it doesn’t attract more attention. But according to VentureBeat, the answer is simple: “Despite the influx of fresh content, Amazon has moved at a snail’s pace to entice its Prime Members to actually use the instant video service instead of competitors like Netflix.” In other words, content may be there, but the user experience is disappointing, as discoverability and navigation still leave much to desire, Tom Cheredar writes. As we reported earlier this week, Amazon Cloud Player has launched on iPhone and iPod touch, allowing US users to stream and download their music stored with Amazon on their iOS device. As you may know, Amazon Cloud Player is a digital vault for digital music that doesn’t just offer more than 20 million songs and over a million albums across different formats from its retail stores — it also allows the uploading of full music libraries. Still, with major players such as Apple and Amazon competing for this segment, it wouldn’t be surprising to see their offers gain traction, and finally help cloud music to take off. Do you use cloud music? Let us know in the comments.